There are only a few publishers that regularly print LEGO-oriented books. Of those, only two are officially licensed – Scholastic and Dorley-Kinserly (DK). DK has done an impressive selection of books, including books with LEGO minisets and minifigures. 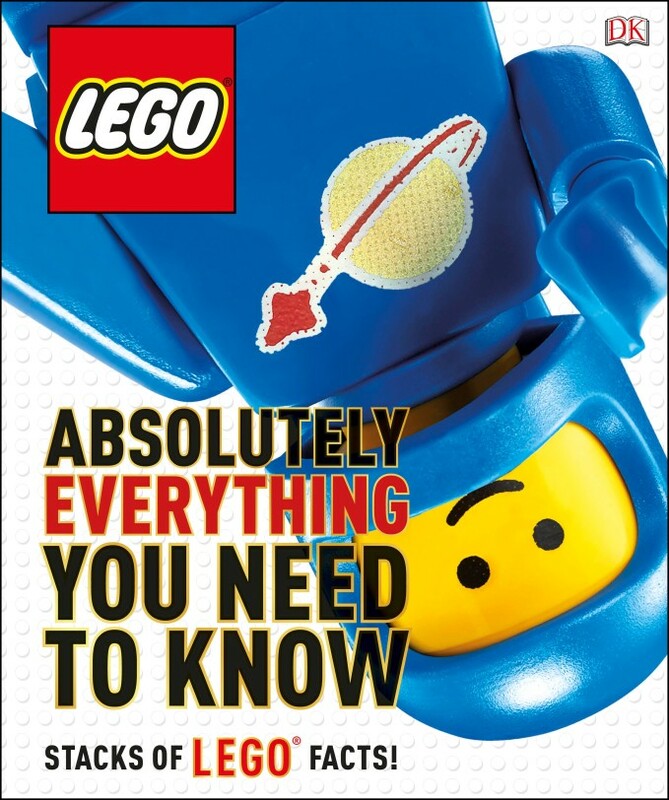 Absolutely Everything You Need to Know is a book that is, as it claims, “stacks of LEGO Facts.” There are no minisets and no minifigures, just facts and information, which makes this a nice addition to their library. For a LEGO Fan, this is a book that is a great read, as it shows how extensive the product is in 240 pages of photos, copy, and timelines. All themes are covered – well, almost all themes. Galidor isn’t mentioned – and outside of that, all themes have some type of coverage. The company itself is also given more than a few pages of history. 240 pages is far from enough, but this isn’t the Absolutely Complete Book of LEGO. The pages themselves are laid out like most DK books: plenty of photos mixed with short pieces of information. The common element in almost each spread is a timeline, often used to place the theme’s sets or highlights in a chronological context. This timeline-based approach is very interesting to read through, as it shows how long the LEGO company has been adding and changing. Are there things missing? Yes – the text often mentions things that aren’t shown, which is something of a letdown. There is only one event exclusive set mentioned in the book – and there are more than a few, and even more minifigures! On the other hand, there are spreads devoted to how sets and minifigures are made and even a spread on how designers ‘sign’ their sets. Another spread is devoted to scale with different figures from different themes compared. Still another takes a look at LEGO plants, even giving them LEGO ‘scientific’ names. So is this book worth buying? Yes! There’s more than enough to learn about the the LEGO Group, but if you are a fan, this truly is Absolutely Everything You Need to Know! LEGO’s present color chart, which is only a fraction of all the colors that have been used by the company. A castle spread with the time lining added. A spread showing pre brick toy sets. You can purchase this book at: DK Books, Amazon, Barnes and Noble, Books A Million, and IndieBound. ← Dare to Enter the Joker Manor!